The benefits of building a good working relationship between a LIMS supplier and a contract research organisation (CRO) can’t be underestimated, notes Richard Stember, founder and CEO of LABTrack, which has been working closely with CRO Nitto Avecia Pharma Services (Avecia Pharma) and its predecessor for the last 12 years. The regulatory compliant LABTrack LIMS was originally built as a customised system for Avecia Pharma, but was commercialised more widely in 2007. The CRO space is also becoming increasingly multifunctional, Rourke adds. Many CROs carry out contract manufacturing, and offer sample biorepository services. 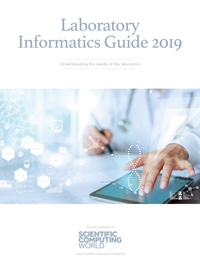 ‘Even just a few years ago companies would have required three separate informatics systems to manage their contract research, manufacturing and biorepository operations. ‘The trend for CROs to act as secondary biorepositories is also driving us to build our software with more seamless transitioning from clinical testing to long-term sample storage, so that data is available in a single system for future regulatory review or testing,’ Rourke said. The Edge offers its BioRails platform as a hybrid system that combines LIMS functionality with elements of a logistics tracking system, so CROs can optimise all aspects of services provided to multiple clients, as well as manage sample handling and results reporting and analysis. BioRails combines a project tracking and optimisation (PTO) module, with a data management element that combines electronic laboratory notebook (ELN), and data analytics. 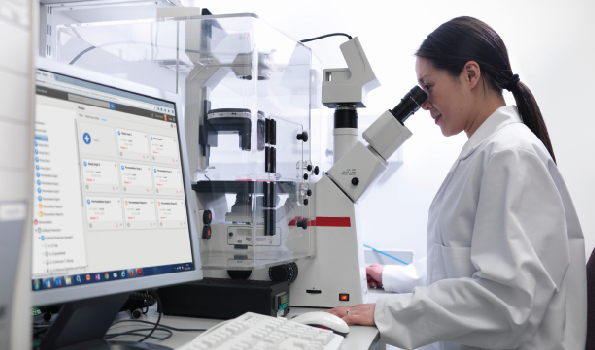 A plate- and vial-based inventory module offers seamless management of small molecules, biologics, cell lines or tissue samples. ‘BioRails allows CROs to optimise project planning and scheduling, down to the individual items of test equipment being used, and locating materials in store,’ Lemon said. ‘CROs can assay sets of samples from different clients in the same test run, even if all other aspects of that workflow are different for each client. ‘It saves on resource and reagent use, without compromising on data security or the specific reporting requirements for each client. We also provide functionality in our software that allows clients to carry out cocktail testing, where multiple samples are run together in the same well, in the same plate,’ Lemon added. BioRails provides the option to monitor quality variation and efficiency over time, while metrics tally the number of compounds that have been run using each type of assays, over specified time periods, as well as assay/sample turnaround times. As more companies are looking to CROs as external partners and not just as outsourced resource providers, their relationships with their clients have evolved from transactional exchanges to more long-term collaborations. Legacy options for the transfer of data, such as email, file-share, Dropbox or SharePoint, are not ideal with respect to giving study sponsors the option of reviewing data with more depth and context than a final result table stored in a slide presentation or document, he believes. Precision tumour diagnostics firm Helomics established a clinical CRO operation at the start of 2017, and now offers pharmaceutical, biotech and diagnostic clients a range of ‘boutique’ services for clinical and translational research, spanning biochemical profiling, genomics, proteomics and cell biology. ‘It’s an extra revenue stream on top of our clinical diagnostics business and allows us to leverage our proprietary patient-derived tumour models to help develop new therapies,’ noted Mark Collins, vice president of innovation and strategy. Helomics is not alone in this shift, with many diagnostic firms now providing specialised services beyond the scope of the traditional CRO’s remit, he points out. ‘Modern clinical trials are highly data-driven. You are selecting cancer patients based on biomarker profiles.’ These types of specialised biomarker panels, including the patient-derived tumour assays offered by Helomics, in turn require highly flexible informatics systems that can manage process and analyse complex data. Helomics is leveraging its proprietary regulatory-compliant D-CHIP (dynamic clinical health insight platform) bioinformatics platform, launched in April, which applies machine learning to data from multi-omic studies in the database for insight about how patients are likely respond to drugs. Helomics has also employed Abbott Informatics’ STARLIMS for the last six years as its clinical diagnostics LIMS, and is now deploying STARLIMS to drive its CRO business. While flexibility is key, you don’t want a LIMS so complicated it becomes impossible to maintain. ‘That sort of ‘lifeboat’ software – which has every kind of functionality for every kind of eventuality – becomes a beast to maintain,’ Collins said. ‘Sometimes a more focused solution can work better.’ Absolute security is also a key consideration for Helomics, adds Robert Montgomery, manager of IT and LIMS. ‘We want to be able to set up and configure new projects within days, not weeks, and have role-based permissions that guarantee client data security and meet regulatory guidelines and rules we are subject to, such as CLIA. As a boutique CROs, we need software that is project centric to manage diverse and often complex workflows for individual clients, which is very different to the sample-centric structure of a traditional LIMS. You want to be able to keep all your project data together, and easily accessible, and available to the sponsor, in the correct format, in just about real time,’ Montgomery concludes.